Different people understand neoliberalism in different ways and that is their prerogative. I prefer a pretty tight definition: It is conventional (capitalist neoclassical) economics supplemented by an aggressive rightwing political agenda. This implies two things (i) neoliberalism is not a new development in economic theory; it has added nothing to classical (Smith, Ricardo, Mill etc) and neoclassical (Jevons, Walrus, Carl Menger and Alfred Marshal) economic theory except the now fairly discredited views on monetarism originating with Milton Friedman, and (ii) it is associated with austerity (cuts in education, health, welfare), privatisation, strikebreaking, union smashing, easy firing (so-called labour market reforms) and all that is symbolic of the Reagan-Thatcher onslaught under the intellectual supervision of Friedrich Hayek. Some people use it to mean Western and IMF impositions, still others to mean just about any anti-populist policy. I am going to stick with my narrower usage for the purposes of this essay. Understood in my way, neoliberalism has suffered setbacks and in some measure been eradicated. Regan-Thatcher methods have in effect been repealed in their respective homelands and we are back to a tussle between class interests. Sometimes on side wins, sometimes the other and most often it is an in between outcome reminiscent of the days before Thatcher crushed the miners and Regan subdued the air-traffic controllers. Obamacare and refinancing of National Health in UK are examples of a draw while the crushing of Greek opposition to austerity by European finance capital is an outright victory for one side. In the developing world the IMF’s structural adjustment mantra and the Washington Consensus pioneered by IMF/World Bank/US Treasury to terminate populist economics has given way to conciliation with mass opposition since the latter could not be defeated. The coup de grace was the near uprising in Bolivia which aborted attempts to privatise water and dealt a death blow to a rampaging neoliberalism agenda. I have been vigorously arguing this case for some time but our local liberals and for that matter leftist and Marxists didn’t take much notice until of course white men started saying it in the pages of esteemed journals like the Guardian. 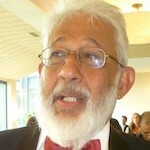 Recently reprieve came to me again in a piece by Martin Jacques a former editor of a British Communist Party magazine. Introducing the piece ‘The death of neoliberalism and the crisis of western politics’ on 21 August 2016 the paper describes Jacques as follows; “In the early 1980s the author was one of the first to herald (sic!) the emerging dominance of neoliberalism in the west. Here he argues that this doctrine is now faltering”. I have edited a few snippets for length and reproduce them below for the edification of domestic liberals and leftists. “The causes of this political crisis are much deeper than simply the financial crisis and the virtually stillborn recovery of the last decade. They go to the heart of the neoliberal project that dates from the late 70s and the political rise of Reagan and Thatcher. Equality was scorned, the idea of trickle-down economics lauded, government condemned as a fetter on the market and duly downsized, immigration encouraged, regulation cut to a minimum, taxes reduced and a blind eye turned to corporate evasion. “By far the most disastrous feature of the neoliberal period has been the huge growth in inequality. With extraordinary speed it has emerged as one of the most important political issues, most dramatically in the US. It is the issue driving political discontent now engulfing the west. It is puzzling, even shocking even, that it has been disregarded for so long; the explanation can only lie in the sheer extent of the hegemony of neoliberalism”. “Large sections of the population in both the US and the UK are in revolt as graphically illustrated by the support for Trump and Sanders in the US and the Brexit vote in the UK. This popular revolt is often described, in a somewhat denigratory fashion, as populism. Populism is the label that political elites attach to policies supported by ordinary citizens that they don’t like. Populism is a movement against the status quo; represents something new and is much clearer about what it is against than what it wants. It can be progressive or reactionary, usually both. Brexit is a classic example of such populism. It has overturned a fundamental cornerstone of UK policy”. There is something new happening across the West and there is no harm in repeating this chorus many times. The Trump phenomenon is quite astounding. It has wrecked havoc in the high establishment of the Republican Party, the party of Wall Street capital and corporate America; it has evoked excitement among white workers, rightist or racist intemperance among millions of white youth and won a big section of the middle class fed up with government and establishment. Trump will not win the elections but the fervor he has caused to run riot is a social phenomenon. Bernie Sanders did not win Democratic Party nomination but he has likewise unleashed a tsunami of youth activism that has compelled Hilary Clinton and the Party to adapt much of its style and adopt a part of its programme. Something not dissimilar is unfolding in the UK. The majority of Labour Party MPs are Blairites; people who belong to the Blair-Thatcher mould of thought elected before Jeremy Corbyn took the leadership and radicalised Labour. The Blarites sought to mount a parliamentary coup and drive Corbyn out of leadership only to be hoist with their own petard. Corbyn met the challenge head-on and mobilised Labour’s grassroots to defeat the plot. Leadership re-election is in process at the time of writing and all indications (including the bookies) are that he will score a landslide (80%) victory. It is rubbish to say that Labour under Corbyn cannot win the next election; it is far too early for any such prognosis in a world that is changing so fast. Who foresaw Trump? Who foresaw Brexit? The British press, to its shame the Guardian included, which is baying for Corbyn’s blood may well be proved wrong. The relevance of the two previous paragraphs for the theme of this essay is that the re-imposition of the hegemony of neoliberal ideology on the US and UK is simply out of the question. Social perceptions have changed too much, the establishment is too far in retreat, dead neoliberalism cannot be resurrected. 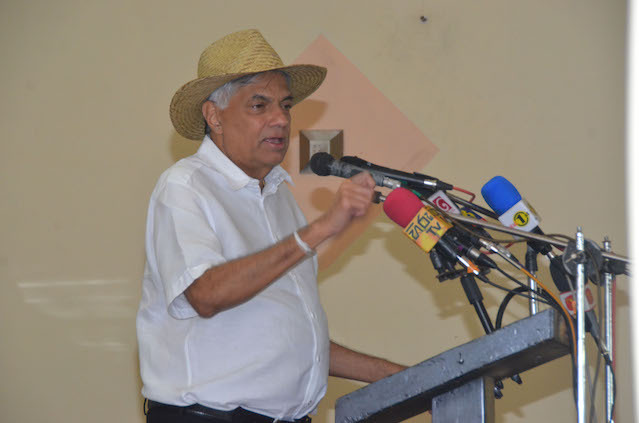 I endorse Ranil’s efforts to mould Lanka’s economic development into South Asian and East Asian economic spaces. Autarkic, inward looking development as in 1970-75 (which I could justify by reference to the world in those days) will end in bankruptcy; there is no way forward on that road and it is a manic to even think of it. But after saying that I endorse Ranil’s outward looking stance I run in to a lot of specific problems. The team Ranil-Chatrita–Malik (RCM) is still in its subliminal consciousness it carries much JR economics which I contrast sharply with the Deng Xio Ping (even Lee Kwan Yue and South Korean 1990s) development strategy. The post 1977 strategy was just open the economy and wait for domestic capital and FDI to deliver the goods. The apex of thought was liberalisation into an open economy, trade promotion, confidence in banking, finance and logistics as the leading edge of growth and a commercial and luxury apartment building boom. For heaven’s sake is Ranil going to create one million jobs in the proposed Colombo financial hub! Don’t these people have the foggiest notion that production precedes export and logistics? What the devil are you going to export or ship otherwise? Is RCMP (P for Paske) so dim that it is unaware Hong Kong is a logistical base, port and business hub for the world’s second largest economy, the workshop of the world its largest exporter real tangible, palpable stuff? RCMP I fear still suffers from subliminal a residue of neoliberalism ingested with its JR blinkers beyond which it cannot see. The main task of the state at this time is not more and more paper agreements (they are needed) and active intervention with local and foreign capital TO FORCE investment. “Invest it or will forcibly requisition it for 10 years” as a threat is not too unjustified. Opportunity, encouragement and compulsion are all warranted weapons to aim at domestic capital. Foreign capital will NOT necessarily be put off; if it sees that the state means business and there are bucks to me made show me a capitalist who won’t want to cash in. Ok some of you may find some of this over the top, but you can’t disagree that a activist role of the state must drive economic growth if Ranil wants his one million jobs and 8% growth rate. I do not hesitate to endorse the need for financial services, banking, logistics and trade and economic agreements (the most important part of ECTA is not trade but technical and economic interaction). Of course they are necessary in their place, but growth in the real economy must come first. Everyone groans about the fiscal deficit, about the debt burden and low government revenue. The proven way to overcome fiscal and debt problems is growth, real economic growth with boosts revenue. Debt for enhancing output is fine as any successful mudalai will tell you; it even helps to wipe out old accumulated debt. In will close by repeating three points in a piece entitled ‘Embracing Globalisation: The Case of Sri Lanka” S.P. 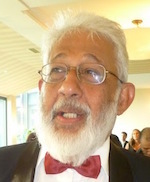 Chakravaty an emeritus economics professor from Bangor, Wales. (a) Avoid complacency about fairness in the distribution of gains. The poor must also benefit. (b) Long term gains must “not derailed mid-course by xenophobia stoked by a backward looking nostalgia of past failures disguised as successes”. (Does he mean the failed JR open economy?). (c) Investors must pay their costs. “Companies whether from China or India or domestic that set up shop in the designated economic zones must pay their share of the cost of running the public space in which they thrive. The taxation system, whilst being kept transparent and simple to encourage investment must not transfer resources from the countryside to new industry. The Chinese model of appropriating agricultural land to benefit domestic and foreign companies is not advisable. Land acquisition must be manifestly fair by those that had cultivated the land. Dr. K – Neoliberalism is alive and well with the World Banks latest Diagnosis with endless repetition re. gender and ethno-religious inclusion, but no plans to address the problem of INEQUALITY AND POVERTY among women and minorities! Please review the latest World Bank Sri Lanka Diagnostic 2016 glossy hot air document with various consultants named. 1. The World Bank and IMF should be using their “knowledge banks” (Ha,ha, ha) to track down financial criminals and the billions looted from Sri Lanka so that the massive national debt can be paid off rather than taxing POOR people. Instead the global financial institutions make BAD development policies to keep the country perpetually under developed and at subsistence level. The political economy of development knowledge production works to ensure that people are DISTRACTED from the main problem which is institutionalized corruption and misinformation in the financial systems. For instance, why is it that Sri Lanka’s Marine resources and services, fisheries, aqua culture, sector only contributes 1 percent to GDP when the island has acres of ocean and 1 million in livelihoods in the sectors systematically over looked? 2. It is the corruption, bad governance and looting of Sri Lanka that is the main cause for POVERTY, INEQUALITY AND CONFLICT. WB should focus on FINANCIAL GOVERNANCE ISSUES and financial crimes and corruption reduction rather than publishing Glossy and useless “Country Diagnostics”. WB and IMF should be tracking down off shore bank accounts and Panama Papers exposes and sorting out global financial crimes and stopping the looting of countries like Sri Lanka which are the main reasons for POVERTY AND INEQUALITY. UN agencies and NGOS are far better at local development analysis and poverty reduction. Just check out the World Bank’s latest 160 page empty rhetoric report that now all the other donors will quote ad nauseum. The nexus of corruption between IMF and WB professionals, multinational corporate corruption and local professionals need to be exposed. 3. Today majority of so called professionals are as corrupt as the politicians – Doctors are in the pay of multinational Pharmaceuticals to over prescribe pills, the accountants are a corrupt bunch, the lawyers like the clown Wijedasa Jarapassa who is protecting Avant Guard are the pits. There are a handful of professionals with integrity. That is it. Prof David suffers funny illusions about the nature of capitalism. His faith in Ranil W’s vision for Sri Lanka is more amusing than amazing. Let us dust the red book and see if we could replicate present day Chinese Communism here in this island.